How to find out what career is right for you! Everyone needs to work for obvious social / physical reasons, but how many of us regularly hate the thought? How many go to work and wish away the hours until the whole week has worked its way through? How many of us know that we often make things much worse by the feelings and thoughts that we carry? That we sabotage our best efforts without realising consciously and subconsciously what we’re doing? And how many young or old simply don’t know how to choose a career that’s right for them from the sea of opportunities they are faced with? The world ahead has never been so openly attainable as it is today. How to find a career that’s right for you is no longer just determined by skill alone. Most establishments offer training through day release, apprenticeship and workshops. Most will train you to the standards they require as you work. 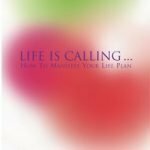 But sometimes knowing how to choose a career can be likened to standing in a sweet shop, where all manner of tempting favourites are placed strategically before you” so how to choose” and when you do, how to find the right career for you can be daunting. And what if you make a mistake? What if something better appears once your decision is taken? What if you’re trapped” or you miss an opportunity that could have spun you on to new and greater heights? Most of what we’ve addressed here above are fear based thoughts that stem from Ego, as you fear that you don’t know how to find the right job for you, that you won’t be good enough, that someone will notice that you actually can’t do what you said that you could at the interview; the Egos list of doubts and fears go on and on!. We have downloaded powerful material that will help you with this process right from scratch, working from the base of who you are; your personal likes and dislikes; strengths and talents|You’ll begin to recognise life slightly differently from a higher vantage point and perspective, and know yourself so well that you’ll know your life direction inside out. Clarity and focus will replace all the doubts, problems and fears you successfully carry regardless. You’ll understand what drives you forward and what empowers and makes your soul glow” and the right career path to fit and please that identity. A lot of time is spent at work, sometimes far more hours and effort than is available for use later in your own time, so it makes perfect sense to choose properly when you’re able. The question of ‘how to find the right career for me’ is answered very easily when you recognise what excites or drives you, what talents and callings you possess (even though you may think you have none), what activities you enjoy, what makes your soul sing or feel happy? And what songs do you sing? Who are your hero’s and why? What talents do they possess that are in you visible or buried that perhaps you could add to or cultivate? How to find the right job that will not pull you down is not difficult. Much stems from your individual personality, character, mind set and intention in the first place” just as well as what’s available when you search. It’s not always about what you know or about the highest qualifications and education, although they help. It’s more about self-confidence, about intuition, independence and capability, as well as intelligence and initiative; about being in the right place at exactly the right time to make connections, to hear something or see someone who has information that you need to take you forward; it’s about working with life and noticing how it helps you; about knowing your personal boundaries, what you like, dislike and will accept, about the will to start from scratch, to do whatever you need to do to start your career path ball rolling. Remember you can’t directly jump to levels that you are not ready for” though you might want to or think that you can. You’ll first need to prove your work status. It’s good to have a goal. But you must first better understand your soul journey! Take anything that comes along” just to get you working at the start, but be mindful that for now this is just a stepping stone to build an employment trail” so give what you’re doing” no matter how mundane, your very best. It’s always easier to find new work when you’re in work. You’ll prove reliability, willingness, initiative and an ability to be flexible and apply your full attention” which employers naturally like. You’ll gain talents and skills that you can hone as you climb higher on the workplace ladder as you go. Everyone has to start somewhere” so don’t be too choosy at this point. Later on you can hone and re-choose more specifically, but with experience you have gained in the meantime when redefining your work position needs more thought and understanding than you have now. To combat bullying and other problems” you need more information to help and guide you to overcome and move forward within your own unique power. 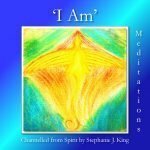 Both LIFE IS CALLING|and AND SO IT BEGINS|will help you with this” and so too will our ‘I Am’ Meditations CD, as they will release what’s been placed there by ongoing experience” i.e. feelings and emotions no longer helpful that hold you back!. All these things and more you can win. You are the force that will drive your life to where you want it to finally go. All choices from this point are yours!. If you have enjoyed what you’ve read, it it’s resonated within at any level, then the material we’ve channelled/downloaded (in much the same way as Einstein and Mozart produced life changing works) will work directly in tune with your needs to find a purposeful, self-sustaining, fulfilling, supportive career. You know all thoughts you are currently thinking. You know how you feel, what you’re going through and what you most need to come in. 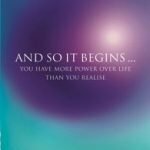 You know what is happening within your larger circle of life even now” and it’s from this point immediately that guidance will be given to help you win, to take you forward with ease, to get your life resonating and working in tune with your highest potential and ability. If you continue along the same lines you always have” you’ll simply attract more of the same. For things to get better, for abundance to flow in, you need to understand how you hold yourself back, how you program this life as you do. How you move forward from here” rests with you!